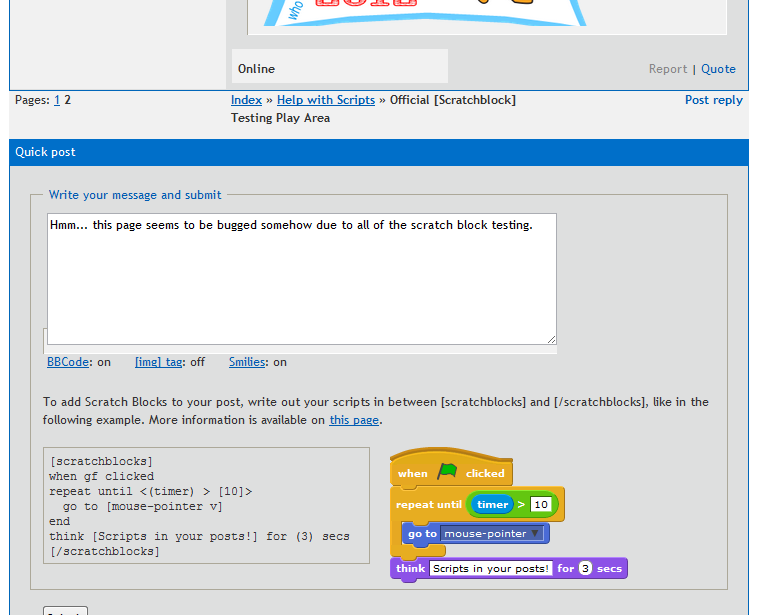 Hmm... this page seems to be bugged somehow due to all of the scratch block testing. Edit: It seems this has already been reported. hi Is there a list of all possible scratchblock and how you write them in the forums?